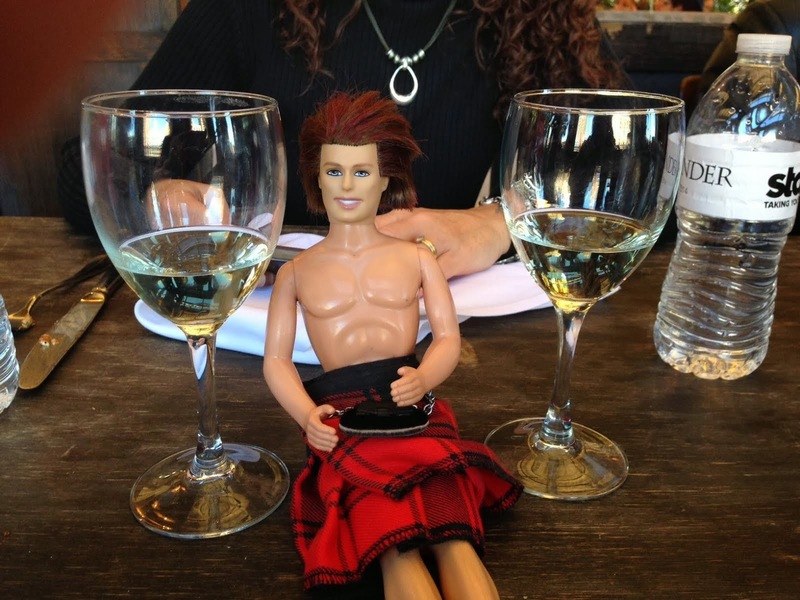 My OUTLANDER Purgatory: Gabriel Aubry Scuffle: Please! Not the Face! 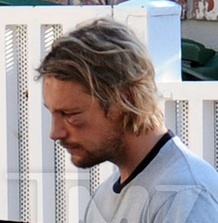 Gabriel Aubry Scuffle: Please! Not the Face! So a while ago, Diana Gabaldon posted on her blog that she thought Gabriel Aubry "did in fact have a strong resemblance to Mr. Fraser, in terms of facial physiognomy". Apparently Mr. Aubry had a scuffle with Oliver Martinez the other day and has a pretty beaten up face. Now...normally I pay little attention to this type of Page 6 celebudrama...but after coming across the photos, I couldn't help thinking that this is what Jamie Fraser would look like after a fight! All roads lead to Outlander folks...all roads lead to Outlander. The exact same thoughts came to my mind when I read about this in the Daily News - Oh God, not his face! and hmmm, might be a good model for a beaten up Jamie Fraser. Good call, Carol! Sounds good to me! Then can you superimpose my head on someone's body standing beside Jamie!! LOL! My first reaction when I heard the news on the radio was, "Oh crap! Don't hurt the pretty!" When I first read Outlander, I was having a really hard time picturing Jamie as being good looking. I had just finished The Bronze Horseman and Shura is a freakin' GOD, so I just couldn't see Jamie as hot. Then I saw a pic of Gabriel Aubry and I was like, "Uh huh. Now I've got it!" Did someone say, Shura? LOL. We have one track minds, my love. Ok, so apparently I live under a rock. Oooooooooooooooo boy! This is delish. Googling him all day long has been a bloody joy. Thank YOU Google Images. OMy. Lovely. I'm sure G was mighty proud of his war wound. I'm equally sure his agent had a coronary, lol. OMG can you imagine?? Great point re: agent. What I don't get is... OM says that he was defending himself against GA. So why does GA have a busted up face and broken rib...and OM only has a cut hand? I think we kindof can see who was on the receiving end of the beating. Oh poor Jamie.....I mean Gabriel...Where's Claire with the leeches? Joseph Morgan as Stephen Bonnet? A Leaf on the Wind of All Hallows eBooks: $1.99!